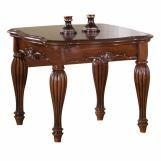 The Dreena Collection by Acme Furniture is crafted with the finest solid woods and veneers. 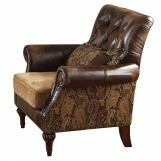 The Dreena Collection with stylishly printed fabric on the sides is upholstered in durable bonded leather and patterned chenille fabric. 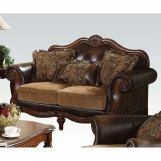 Removable seat cushions offer comfortable seating and bring additional comfort for keeping he set clean. 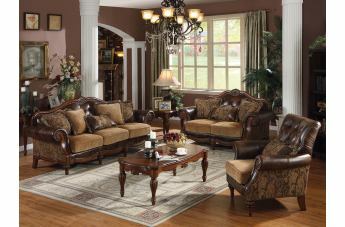 Decorative accent pillows included accessorize this Dreena Collection and serve for functionality as well. 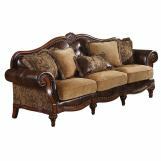 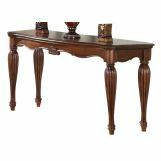 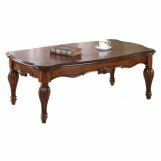 Decorative carving accents, nail heads trim along with rolled arms and peg front legs further intensify the traditional design and graceful sophistication.